I used to suffer from insomnia every once in awhile. These instances weren’t necessarily frequent, but when they came on, they came on strong. I’d have to say that it all started when I was in college pulling all-nighters. Looking back, I definitely understand how the frequent changes in my sleep times and the sheer lack of sleep contributed to my bouts of insomnia. However, after college, I found myself dealing with insomnia during stressful points in my life that often left me wide awake and overthinking things. Well, as it turns out, insomnia is not only stress related, but is in fact worsened or even caused by the foods you eat. I know, I was surprised to learn that too. In this post I’m going to tackle treating insomnia with a healthy diet and I’ll also talk about sleep apnea too. According to the National Heart, Lung and Blood Institute, sleep apnea is a condition whereby a person has one or more pauses in breathing or shallow breaths while asleep. It’s closely related to insomnia, which is why I want to cover both. So before we dive in, let’s take a look at what insomnia and sleep apnea are. Although estimates vary among adult populations across several different countries, it’s estimated that 30% of adults suffer from some form of insomnia. Insomnia is a viscous cycle to say the least. For me, I felt tired during my morning commute, all throughout work, and even more wiped out when I arrived home from work. Yet somehow, I’d be wide awake as soon as I hit the pillow that night. Fortunately, I can say that I’ve never had to deal with a more serious condition known as sleep apnea. As I mentioned earlier, sleep apnea is a dangerous condition that makes people actually stop breathing for brief moments in time while they sleep. These moments can occur frequently throughout the night and make for an interrupted sleep pattern that leaves people feeling just as restless when they wake up. Sleep apnea can also come in the form of shallow breathing during the night. It’s estimated that anywhere from 3-7% of adults suffer from some form of sleep apnea. Obstructive sleep apnea – which is the most common form and occurs when the soft tissue found in the back of your throat actually relaxes to the point of blocking your airways. You may notice this happening if you or your partner snores. Central sleep apnea – the central nervous system fails to signal your muscles responsible for controlling your breathing. This form is less common and does not include things like snoring. Complex sleep apnea – combination of both 1 & 2. However, according to the American Sleep Apnea Association, it’s important to note that about 90 million Americans suffer from snoring during sleep, and just because you snore doesn’t necessarily mean you have sleep apnea. The Help Guide explains that if you find yourself gasping for air during the night, or even have a feeling of choking along with snoring, then it may be time to consider the possibility of sleep apnea. Your best bet is talking to your doctor about how you’re feeling to determine if it’s a simple case of snoring, or if it’s something more serious like obstructive sleep apnea. Another thing to mention is that some people I’ve consulted with experience a case of nighttime asthma, or as it’s more formally known, nocturnal asthma. Similar to apnea, nocturnal asthma appears in the form of an early-morning outburst of coughing or choking, wheezing, and shortness of breath. This condition can also be very serious and should be brought to your doctor’s attention immediately if you suspect something is up. Generally speaking, nocturnal asthma occurs between the hours of 2-4 a.m. In the cases of insomnia or sleep apnea, there are some precautions that you can take to alleviate the problem. Of course, one of my favorite ways to combat insomnia is by adding certain foods to your diet that may help you naturally fall asleep faster, and hopefully, stay asleep longer. For starters, if your family is anything like mine, then you’ve grown up consuming pretty decent sized meals for dinner. Your dish probably had a sizeable amount of protein in the form of a piece of meat, and maybe one or two side dishes like potatoes and a serving of vegetables, along with a nice, healthy salad. Well, it turns out that eating larger meals at dinnertime is not exactly the best idea if you suffer from insomnia or have trouble falling asleep. If you feel stuffed going to bed, it can be harder to fall asleep. Another good option is pairing your turkey or fish with some fresh, dark leafy veggies such as spinach, kale, or swiss chard. These healthy veggies are packed with minerals such as magnesium, which has been studied for its ability to ward off insomnia. 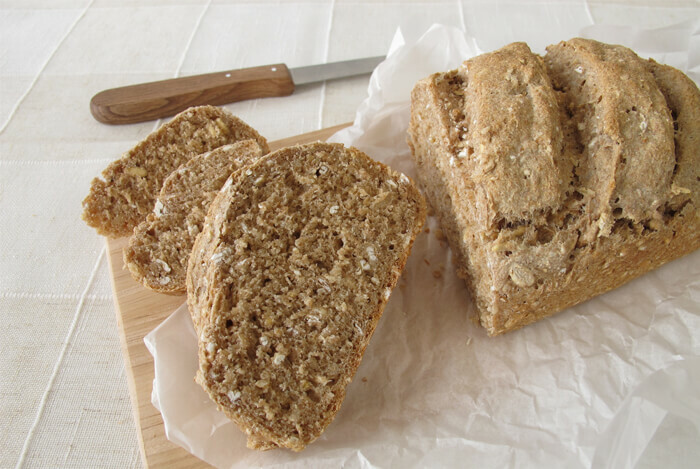 Whole grains are also nutritional powerhouses. 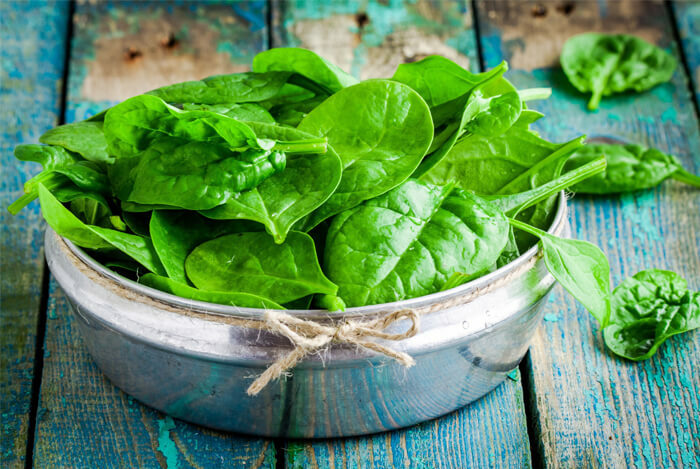 Similar to fish and leafy greens, they’re packed with minerals like calcium and vitamins like B6, which as I mentioned, are essential for a peaceful night’s sleep. Instead of a heavy meal, you could opt for a hearty spinach salad with a sandwich of whole wheat bread for dinner. Probably the opposite of what you’d imagine, tart, dark red cherries are actually a helpful treat to snack on before bedtime. What makes cherries so beneficial? Their high melatonin content. In one study done in 2010, 15 participants were given either a serving of tart cherry juice or a placebo. These individuals consumed the beverage about 30 minutes prior to going to bed and over the course of two weeks. After the two week wash out period, the participants reversed their drinks so that those who had the placebo also had a go at the tart cherry juice. 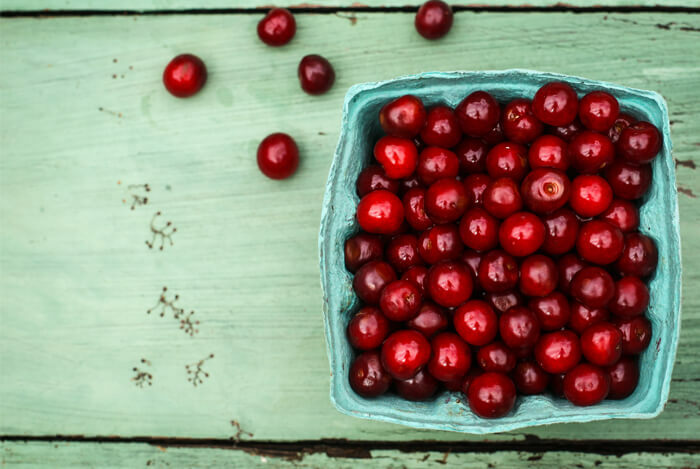 As a result, the study found that cherry juice was in fact able to reduce the severity of insomnia in patients. But, the effects were very small, so don’t get your hopes up. If you opted for a small meal during dinner, but still find yourself battling hungry tummy rumbles, almonds can be the perfect answer. 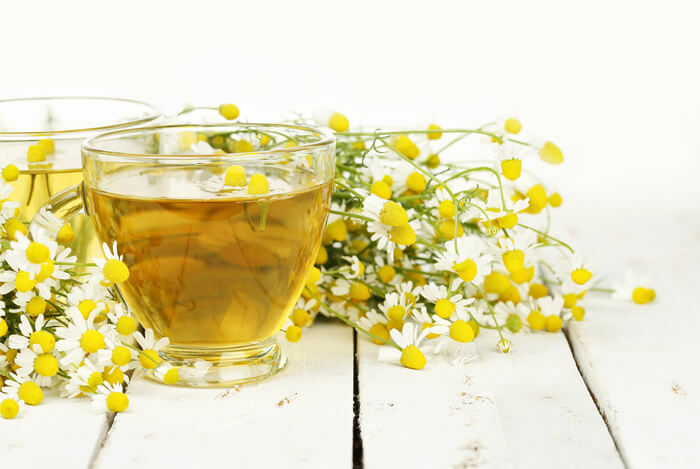 Chamomile tea has been used since ancient Egyptian times as a way to calm people and keep anxiety at bay, and that’s exactly what it can do for you before bedtime. 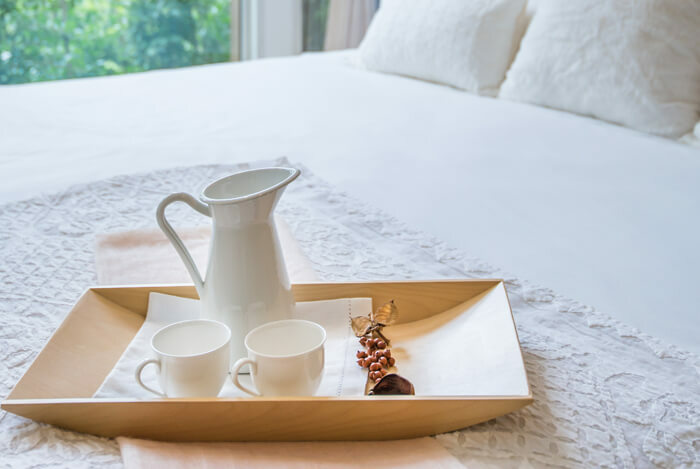 If your thoughts tend to race right after you’ve slipped under your covers, then you may want to settle down with some chamomile tea beforehand. However, give yourself enough time to sip this calming tea so you don’t have to make any middle-of-the-night bathroom breaks. According to research presented in the US National Library of Medicine: “Sedative effects may be due to the flavonoid, apigenin that binds to benzodiazepine receptors in the brain”. That same article pointed out that subjects in a different clinical trial also reported being able to fall into a deep sleep immediately due to drinking chamomile tea. Alcohol: Despite what you may think, alcohol causes you to fall asleep faster, but could lead to disruptive sleep, or worse, prevent you from falling into a deep, restorative sleep. Large amounts of sugar and junk food. These are easy to overeat and can leave you feeling overly stuffed before bed. As a former sleepless night sufferer myself, I’ve learned that the best way to treat insomnia is by changing my dietary patterns first before turning to supplements or sleep aids. 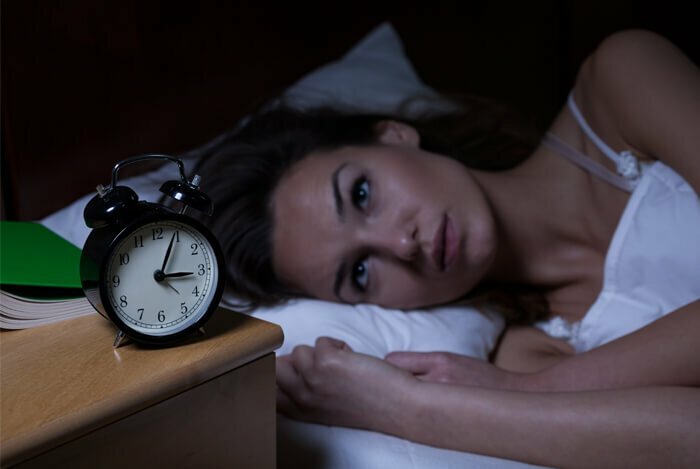 Now that you know what to avoid and what to include when treating insomnia, it’s time to try out some of these ideas and tell me how they worked for you. I’d love to hear your feedback in the comments. 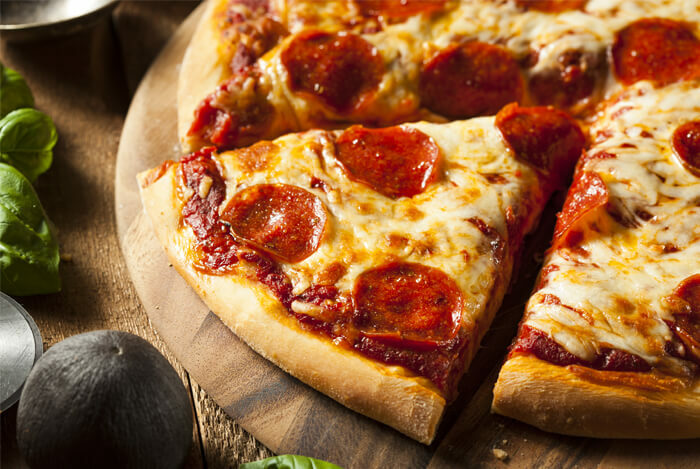 What’s your take on how food can affect sleep? Have anything else you’d like to share? Let me know in the comments below!